Shop Our Exclusive Danon Jewellery Sale and Save up to 33% – Must End Midnight Monday! 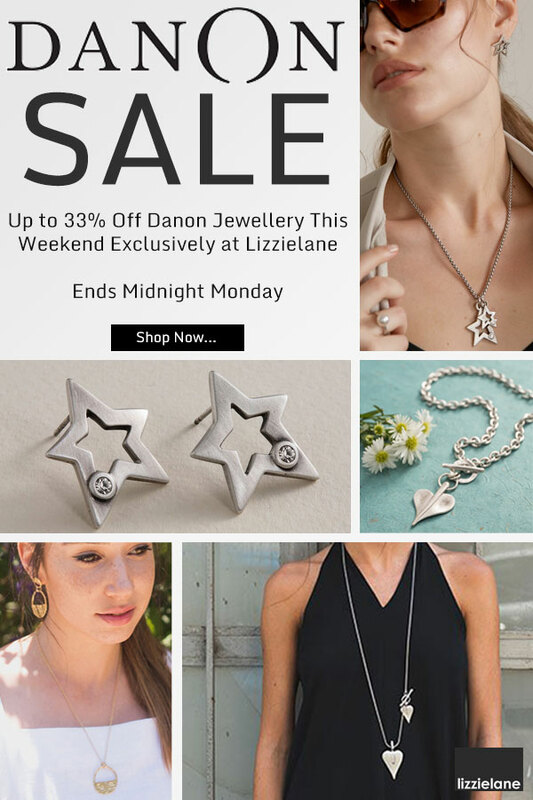 Shop for Danon Jewellery this weekend with Lizzielane and you can save up to a massive 33% in our exclusive Danon Sale. Don’t miss out, our Danon Sale must end at midnight on Monday 15th April! Our stunning collection of Danon Jewellery includes short, mid-length and long necklaces in bronze, gold & silver, gold and silver stud, hoop, drop and hook earrings as well as everyone’s favourite chunky bracelets and bangles in silver & bronze and silver chunky rings. One of our all time favourite designers, Danon and their team have been creating jewellery since 1975. Still based in Tel Aviv, Israel, their master crafts people hand finish every single piece of Danon Jewellery – because of this, no two pieces of Danon are alike. Being an Offical Stockist, every piece of Danon Jewellery from Lizzielane arrives to you, beautifully gift-wrapped in official Danon packaging, plus you have the option of adding your own personal gift message for that extra special gift when you checkout. E&OE. Prices valid whilst stocks last or until midnight Monday 15th April 2019. Lizzielane reserves the right to change or retract this Danon Jewellery offer at any time. Other T&Cs apply.